A man who was in police custody in connection with the murder of Monica Nyawira Kimani has been released. A Kiambu court yesterday freed Brian Kassaine Spira, who is now a prosecution witness and was said to have assisted police to reconstruct the events of the night Monica was killed. He also helped police resolve the puzzle of how vital evidence was allegedly destroyed by the principal suspects in the murder. Sources said the prosecution had lined up at least 10 witnesses. Her body was found in a bathtub in her apartment on September 20 with her throat slit. Kassaine was arrested on September 28 after it was established that Irungu used his (Kassaine’s) gun, allegedly in an attempted suicide. Police said they arrested him when they learnt he had information in regard to Monica’s murder. 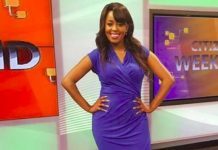 According to police, Maribe knew about Irungu’s visit to Kassaine’s house. Kassaine allegedly told Irungu he did not have any paraffin. 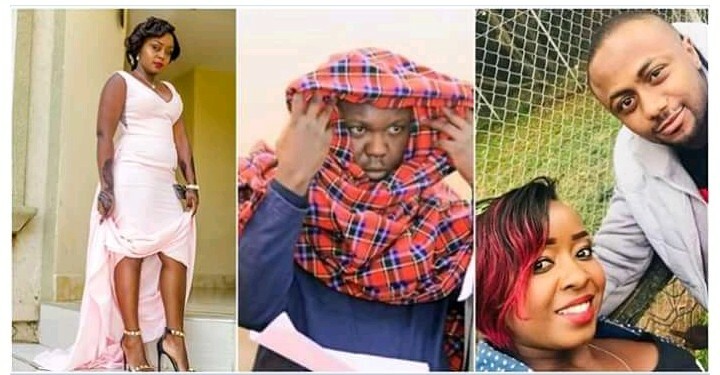 He told police he later learnt that “both Maribe and Irungu” used cans of air freshener to burn clothes in their compound. In an affidavit, detectives said key exhibits in the case, including a kanzu and a jacket, were found partly burnt at Maribe’s compound and that the destruction was done with her full knowledge. 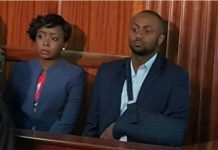 Police said their investigations had shown that on the day of the murder, Maribe and Irungu were together. Kassaine later changed his statement and gave what he claimed was the true version of the events of the two nights. This has apparently convinced the prosecution to turn Kassaine into a witness and drop his planned charges on the gun issue. Kiambu Principal Magistrate Justus Kituku ordered Kassaine to report to the Directorate of Criminal Investigations (DCI) every Thursday for two months to facilitate the investigation. 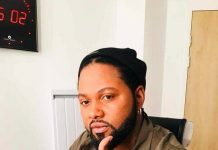 Kassaine, who has been in custody for 10 days, will also surrender his passport to detectives to ensure he does not travel out of the country. A smiling Kassaine came out of court and hugged his parents and friends. Yesterday, a team of detectives that has been in Mombasa in search of another suspect believed to have been in the company of Irungu on the day Monica was killed returned to the city. Another officer said it was believe the suspect at large had knowledge on the whereabouts of the killer weapon and two sets of keys – that of Monica’s house and her car – which are missing. Next articleAGNES KAGURE COULD BE SONKOS WORST PICK FOR D.G JUST LIKE IGATHE WAS, HE NEEDS A WEAKER PERSON.